LouisLam's Blog – Page 4 – Just another blog in the world. Checkout my another new app!! 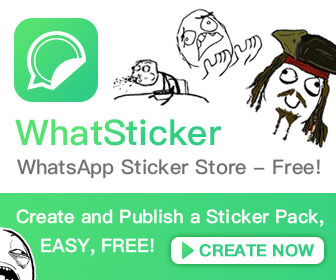 WhatSticker! I saw many users come from different counties. Unfortunately, I cannot translate into your languages without you! If you like the app and you would to contribute, feel free to contact me on Twitter! Love this song very much! [Temp Fix] Why does my email from Facebook, that I forward from my outlook.com account, get rejected? Microsoft is horrible, I missed a lot of email because of this bug. If you cannot fix it, at least you should tell users which email got rejected, right? Anyway, I found my way to get the rejected notifications. 2. Set your Hotmail forward to your Zoho mail. 3. Set your Zoho mail forward to your Gmail. Leave a comment: [Temp Fix] Why does my email from Facebook, that I forward from my outlook.com account, get rejected?